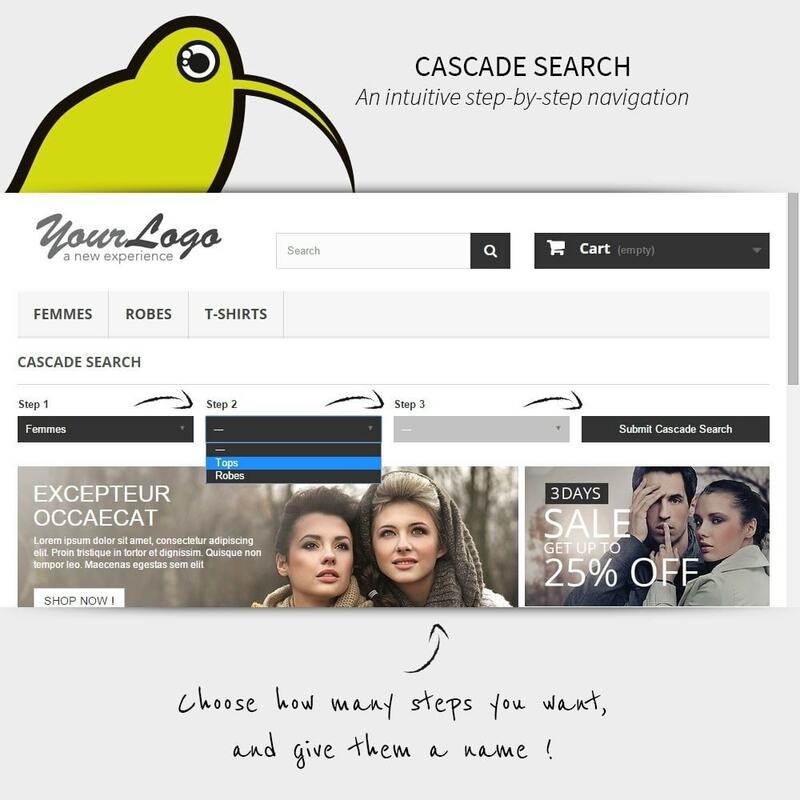 Offer your customers the ease to find products matching their desires with fewer clicks with our step-by-step search, also called cascade search. Developed by Kiwik, a French platinum partner team with a dedicated support team. Improved user experience : adds an innovative feature to your shop. Ergonomic : nothing unnecessary, module management only aims to what is necessary to ease installation and use. Responsive : templates have been created in order to match today’s responsiveness standards. Module developed by a french Platinum partner agency. Let’s say you have 3 level of categories. You can choose a “first level” category from the first list, and it will load dynamically the second list with the subcategories of the first one without reloading the page (ajax). You can then repeat the action for the second list which will generate the third list… Thus going deeper and more precisely in your catalog. Easy to use and intuitive, your customers can display precisely the products fitting their needs. It guides and aims to what they need instead of displaying tons of unrelevant informations for them. 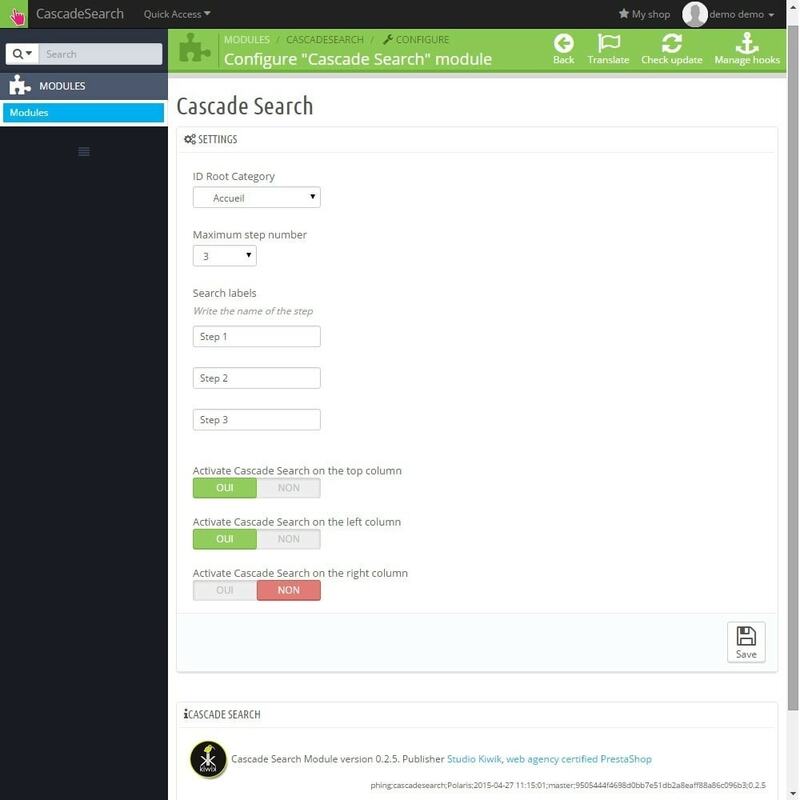 With Cascade Search, your customers can navigate your shop way easier without getting lost.